Asking customer / user feedback can play a major role in improving any product and that has been proven time and again. 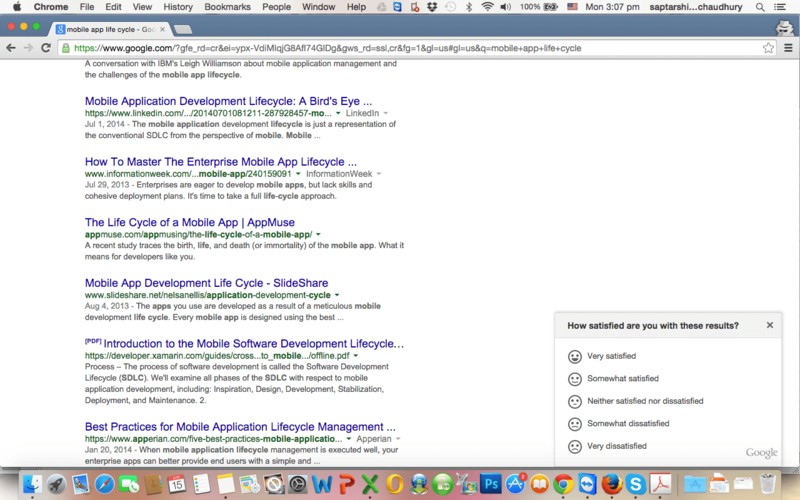 And now, Google has started endorsing the same by asking feedback for it’s search results. Yes ! Search, which has been Google’s primary area of dominance and though there is not much of competition in most of the geographies for them – Google is now actively asking feedback from users on whether they are satisfied with search results or not. Small Pop up box asking feedback on search results quality. This urge for continuous improvement is probably what separates the best from the rest.